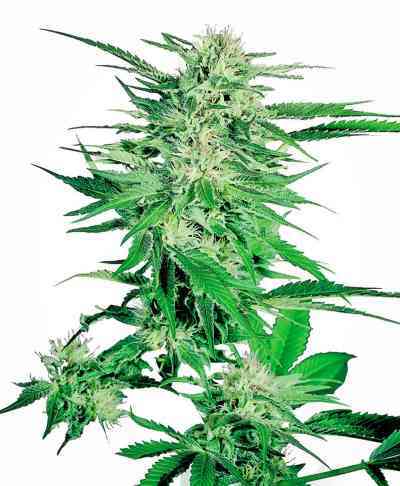 Great White Shark is a mostly Indica variety developed by Green House Seeds. This Super Skunk x White Widow hybrid combines the best traits of both strains: early flowering and abundant harvests of frosty and compact buds. 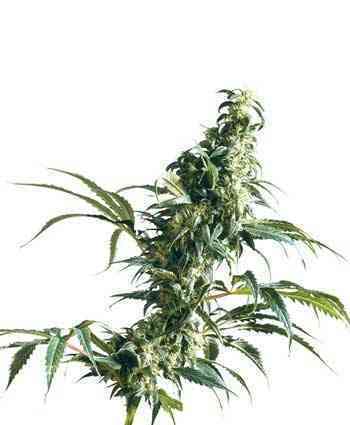 It is ripe in around 9 weeks, yielding up to 800gr/m os drid buds in indoor grow rooms. Very good for SoG and ScrOG. Outdoors, it is usually ready by late September or early October with a production up to 1000 gr/plant. Short, branchy, bushy plant. This cannabis strain has earned its reputation thanks to the very strong body effect, stoned and long-lasting. The smell and taste are sweet and slightly fruity and floral. Medicinally effective in pain therapy. Its extraordinary resin production makes it suitable for resin extractions.